The case of the missing Thumb ?! It started as a normal pain in my right hand thumb and was not troubling me much….but as days passed by, it became too much pain and landed up in the emergency at Malar hospital on a Sunday night. Was promptly scheduled for a surgery the next day morning. The anesthesia shots were more painful than the surgery and were not effective at all!! !…oh what pain, my God, thank God it is over now and my thumb is back in shape. The most important lesson that I learnt was – how useful is every single part of our body. When everything is fine, we seldom pause to give thanks to God and think about the functions that each part does. 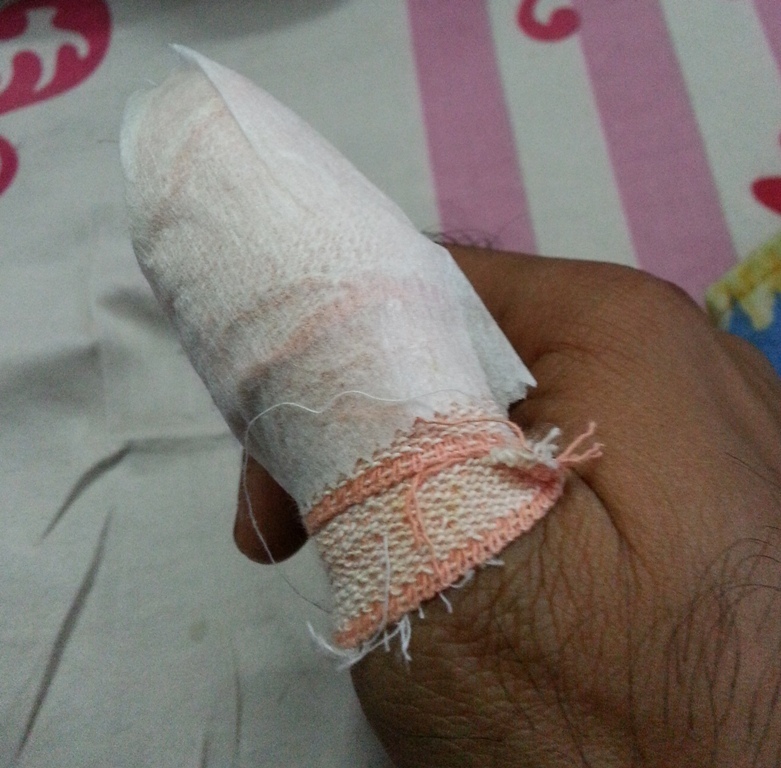 With a bandage on for few days, couldn’t realize how much I use the thumb…even to the simplest of switching on of my mobile!!!. 26 And if one member suffers, all the members suffer with it; or if one member is honored, all the members rejoice with it. Thank God for my body and all parts in perfection. A small problem, but a great realization. The below ‘thumb selfie’ stands testimony to the ordeal. Appreciate your learning journey, through this ordeal and that you were able to see God, insights into His Word, the Truth of Life through this experience.